The world's largest integrated oil and gas project Sakhalin-2, led by Royal Dutch Shell is facing a lawsuit. 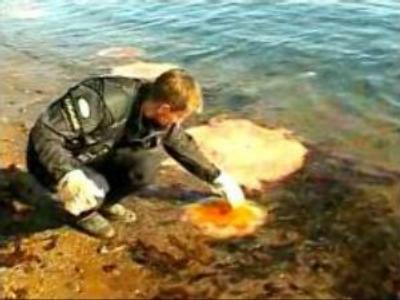 The Russian Natural Resources Ministry points at hundreds of violations in Russia's Far East region. The Russian Natural Resources Ministry detected over 100 violations in the area of Sakhalin-2 project, including water pollution, garbage stockpiling and unsanctioned deforestation. Deputy Head of Russia's natural environment watchdog Oleg Mitvol says the damages are serious. “After their works we now have to restore 529 river basins. The Aniva river basin, which is a massive storage of bioresources, is cluttered up with garbage. Not to mention serious blows to Sakhalin's timber and wildlife,” he stated. The ministry says that after the damage to the region is calculated, it will file a suit against Sakhlain Energy, the project operator. As 55% of the company belongs to Shell, and the balance to Japanese firms, the case might go even as far as to Stockholm's arbitral court under U.S. legislation, as required by the production sharing agreement, signed between Shell and Russia in the mid-1990s. And according to international law the possible fine could significantly exceed the project's initial cost of $US 10 BLN. Shell is not the only company to be targeted by the watchdog. In a separate claim the ministry is also reported to have accused Russian gas giant Gazprom of similar violations on its extraction sites in Siberia. It is becoming obvious that after years of neglecting, ecology is becoming an issue in Russia, which both domestic companies and foreign investors must now take into account.